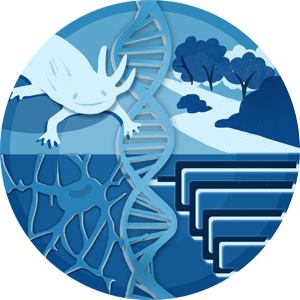 The Ecology and Evolutionary Biology Track focuses on the diversity of life on Earth, including diversity in genes, physiology, and behaviors. Students will learn about how this diversity emerged, as plants, animals, and microbes became adapted to the environment and to each other. A wide variety of scientific disciplines are integrated within the track, including ecology, organismal biology, physiology, genetics, evolution, conservation biology, and behavior. A degree in biology with an emphasis in Ecology and Evolution will prepare students for a career in the life sciences, whether they are interested in having a deep understanding of evolutionary process, or are interested in the interactions between organisms and their environment. This can help prepare students for careers in areas such as: 1. conservation and restoration biology—addressing the impacts of climate change, developing plans for habitat conservation and wildlife protection, or other issues critical to maintaining a healthy planet; 2. working as a doctor or veterinarian; 3. science education—educating students and the public on the history and diversity of life on earth and the need to conserve it; 4. basic research in biology—helping to expand the frontiers of knowledge by studying the evolution of organisms and their ecosystems. Other courses can be accepted by the Director of Undergraduate Studies in Biology on a case by case basis. *For questions regarding the Ecology and Evolutionary Biology Track, please email biology@uky.edu.